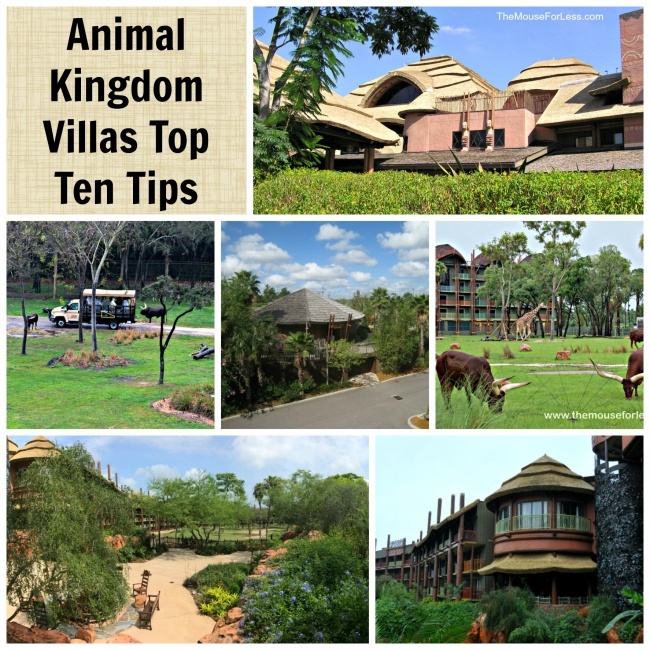 Animal Viewing: This resort is all about the African architecture and the animals! If you are able to stay in a savannah view room, you can view the animals from the balcony of your room. Animal Programs: Disney’s Animal Kingdom Villas offer Animal Programs: Flamingo feeding at the Flamingo Pond, Night vision viewing of the animals, Animal tracking at Arusha Rock, and more. Barbecue: Are you looking for a laid-back sort of afternoon? There is a Barbecue Pavilion near the sports courts at Kidani Village. The Barbecue Pavilion includes two charcoal barbecue grills and two covered picnic tables. Safari Tours: Ever wanted to get up close and personal with all the animals you see from your room? Two different tours are available at Animal Kingdom Lodge to let guests see the animals in a whole new way! Uwanja Camp: is located near Samawati Springs Pool at Kidani Village. It is an animal observation site-themed water playground that includes three interactive areas that are age appropriate: Observation Station for ages 4 and under, Departure Zone for ages 5-7, and Base Camp for ages 8 and older. Outdoor Sports: has two lighted hard court tennis courts, a half-court basketball court, and a shuffleboard court. Fitness Centers: There are two fitness centers: Survival of the Fittest Fitness Center at Kidani Village and Zahanati Massage & Fitness Center at Jambo House. Exotic Restaurants: Do you like to try new foods? This is certainly the place to do so! With Boma (Buffet Table Service), Jiko – The Cooking Place (Signature Dining), and Mara (Quick Service) at Jambo House and Sanaa (Table Service) at Kidani Village, there are many new things to tempt your taste buds with. There is a zero-depth entry pool: Samawati Springs Pool with a 128-foot long slide at Kidani Village. Jambo House has a zero-depth entry pool Uzima Pool with a 67-foot long slide.